Although a classroom full of seventh graders at Mt. Zion Junior High School are parked in their seats, their minds are elsewhere. Donning virtual reality goggles, they’re exploring crowded Manhattan streets, becoming tourists without having to make the physical journey. And these travel options don’t have limits. Not only are these students able to traverse the globe, they can visit places where humans simply can’t go, like inside a human cell. Technology like this helps bolster STEM education, a central mission of ADM Cares that we’re proud to support with a grant. In fact, it’s the fourth year the school has received a grant from ADM Cares, and it has built a pipeline of robust STEM programs at the school. 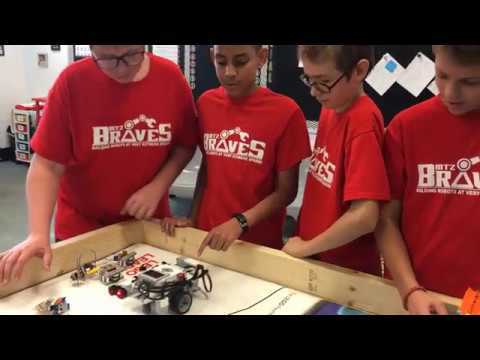 Beyond the virtual reality technology, the grant gives students hands-on experience, like participating in FIRST Lego League, where students build robots. At ADM, we’re proud to foster these first-hand experiences, which help build teamwork skills, teach real-world applications of knowledge, and help kids learn about careers they might not otherwise have considered. After all, we’re not investing in the technology itself, but in the students who will one day enter the workforce with a diverse skillset, making the future brighter.